I’m back from my week away, not exactly rested up but raring to get on with Noctropolis nonetheless. I’m going to start that today, but first I thought it was time for a little more filler from the bookshelves. I’m not the sort of person who likes to throw things away, which means I have more or less all of my old PC games magazines. 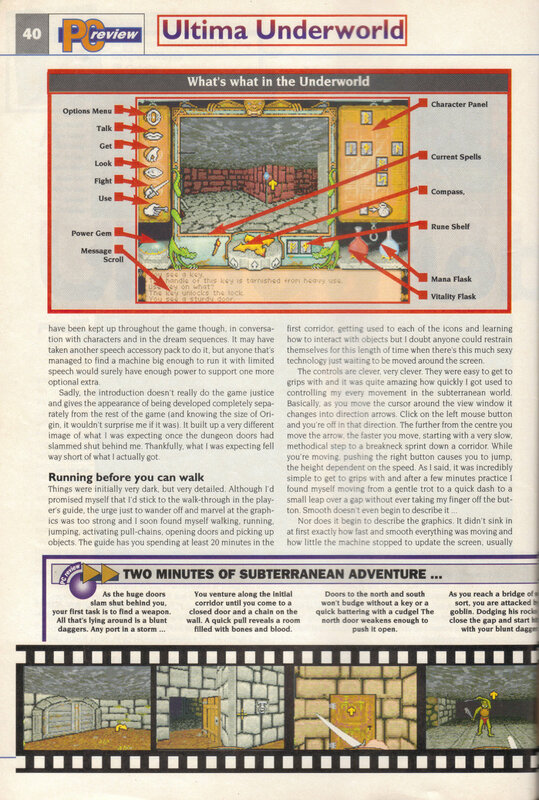 Here in the UK, I’m not aware of specialist PC gaming magazines cropping up until relatively late on so in the earlier days of my PC gaming I had to rely on small gaming sections in magazines like PC Plus. 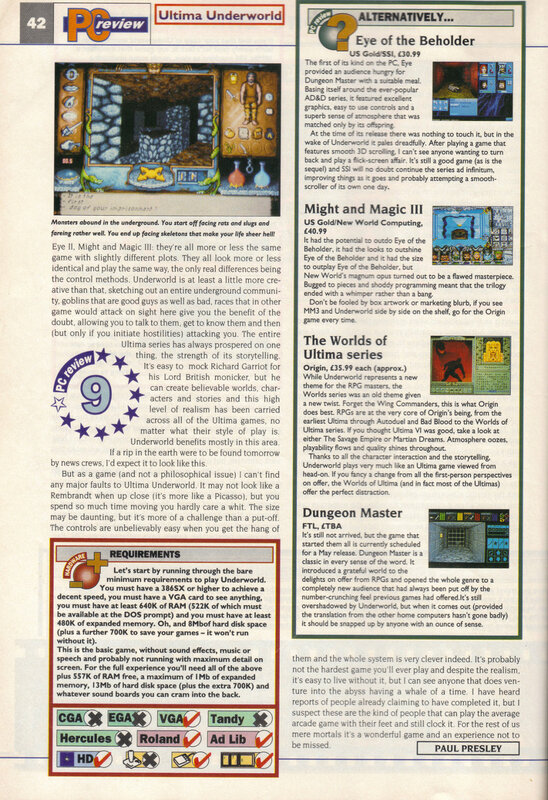 When they did arrive my magazine of choice for many years was PC Review, of which the earliest I have is Issue 7 from May 1992. 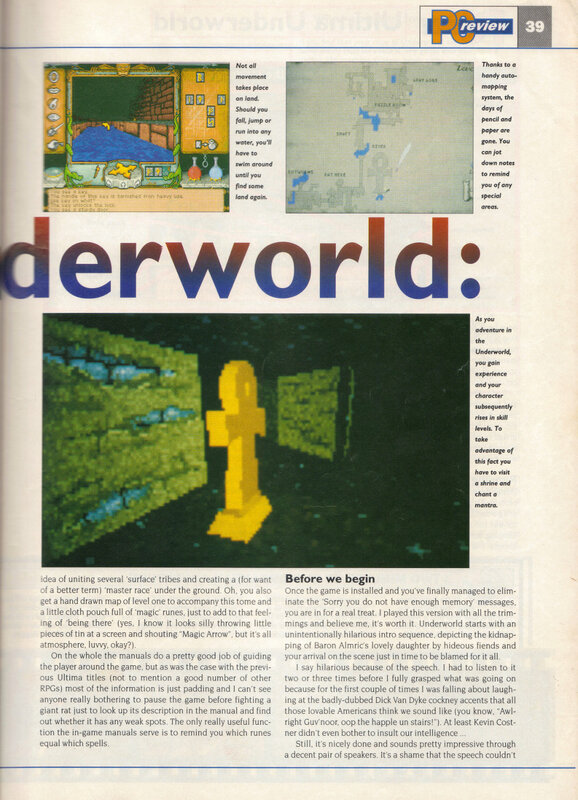 Skipping onto Issue 8, there is a 5 page review of Ultima Underworld. This review is the reason I bought the game which was my first (and still favourite) of the series. 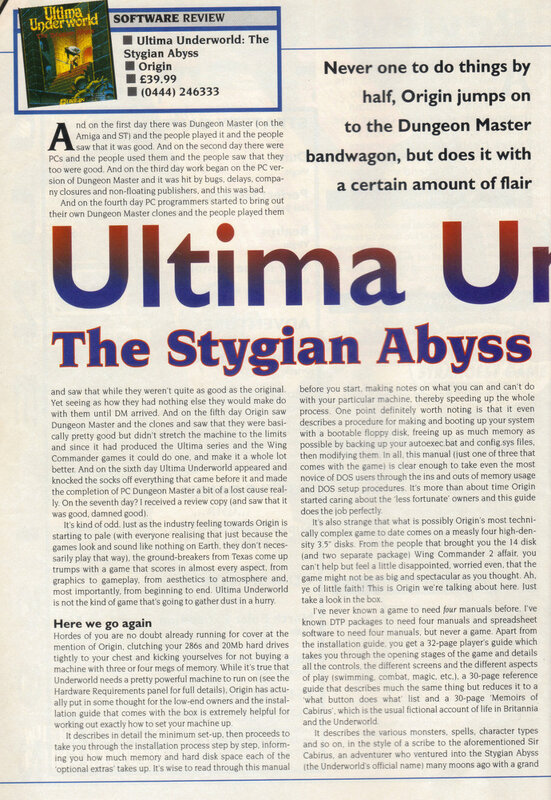 I was somewhat familiar with Origin already from the Wing Commander games but my only exposure to Ultima had been some pirated copies of Ultima 1 and 2, which I’d borrowed, laughed at how primitive the graphics were and then ignored. 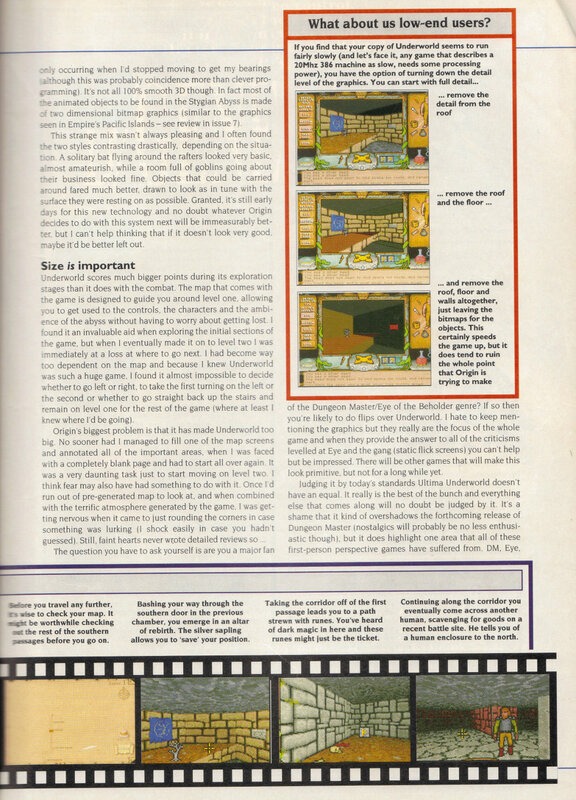 Ultimately this review got me into RPG’s, although I’m sure it was going to happen sooner or later. I include scans of each page below. Click on the image to get it in full size.